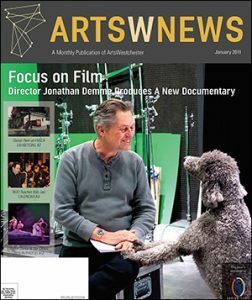 “Jonathan Demme was one of the great Directors of our time—innovative and daring, inventive and honest, creating films in all forms and genres: narratives, documentaries, music films, experimental shorts, and beyond. He was a filmmaker of international stature, one of the great artists of the trade, a winner of Oscars and innumerable honors. Yes, there was all that. But actually that’s not really the Jonathan that all of us at the Burns find ourselves mourning. What was truly extraordinary, what all of us experienced as unique and irreplaceable, was Jonathan’s singular energy and spirit, his effervescence and warmth, a radiance that swept up everyone in his path and made us all feel—whether we knew him a little or a lot, whether on the staff or in the audience—like we were all on the same magical journey. He had that rarest of all gifts, the gift of inclusion, of letting us all feel like we belonged, of letting us all feel important in some precious, intangible, essential way. He was larger than life, while insisting all the while, in every word and gesture, that we were made of the same stuff. His contributions to the Burns were too many to catalogue, but here’s a sliver: he was a mentor to students and staff, served on the Board of Directors, hosted Rarely Seen Cinema for 12 years amongst many other series, brought international filmmakers and artists to our residency, hosted innumerable public screenings with filmmakers, writers, actors, activists; he was a teacher, a friend, a champion, a critic, and a supporter all with the infectious love that was pure Jonathan. If there was one thing that he believed in, it was the transcendent power of sharing. And whether you were in the audience, or on the staff, or on the board, he was always the same Jonathan. In every conversation about Jonathan, there inevitably comes a moment when someone says: Y’know, I never met anyone like him.